This Picture’s Worth a Thousand Words! Here’s an illustration of some of the benefits of our new Bookeye scanner and BSCAN software. With this software ILL staff will now be able to scan two very large pages at one time–with the BSCAN splitting them into two distinct, reasonably sized images. The program automatically corrects errors, smoothes the curvature of the book, straightens crooked pages, and even removes fingers from the image. With the addition of cover sheet recognition, automatic updating and color imaging, this new setup will streamline the ILL scanning process and permit readers to read more easily. This entry was posted in LIS Staff Interest and tagged Bookeye Scanner, Research & Collection Services, Sep 1 09 on September 1, 2009 by Doreen Bernier. LIS Administration is continuing to evaluate what services we should stop as we move ahead with reduced staffing, and we have reached the decision that we can no longer offer a staffed Information Desk in the Library throughout the year. 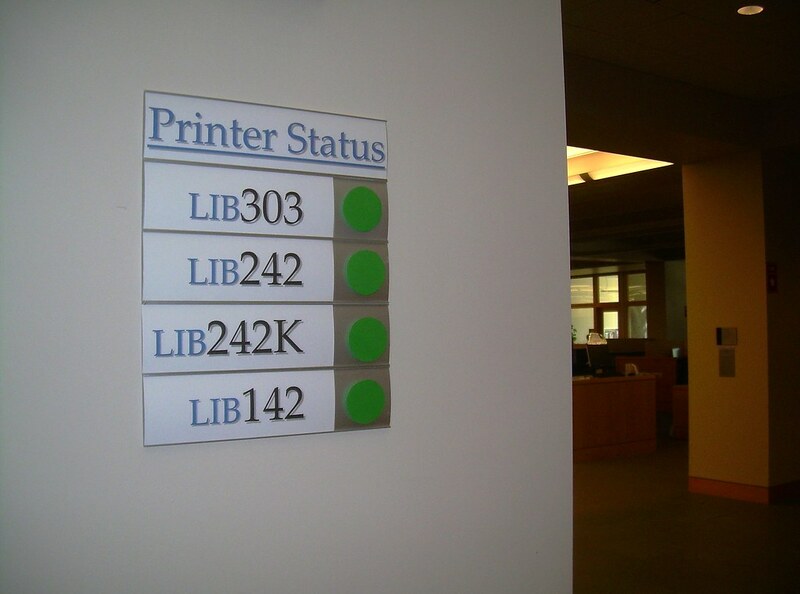 We will want to offer a human presence for the first week of each semester, and will look forward to providing more information tools at the desk for users of the library, but as of Friday, September 11th, there will no longer be staff scheduled at the Information Desk. Doreen Bernier will become the primary person to assist with room reservations in the library, and to answer ext. 2200 when Circulation Services cannot. We will continue to put a high value on providing a welcoming library with services that are easily found, but will look for ways to serve our visitors without having a staff person sitting at that desk. This entry was posted in LIS Staff Interest and tagged Sep 1 09 on September 1, 2009 by Mary Backus.